We asked Chris to write up a little something to recap his first gravel ride on his new Jamis Renegade Expat. He had just completed "Serious Injury By Gravel" a 50 mile crusher with over 3,200 feet of climbing. What a way to break in a new steed. Here's his story. 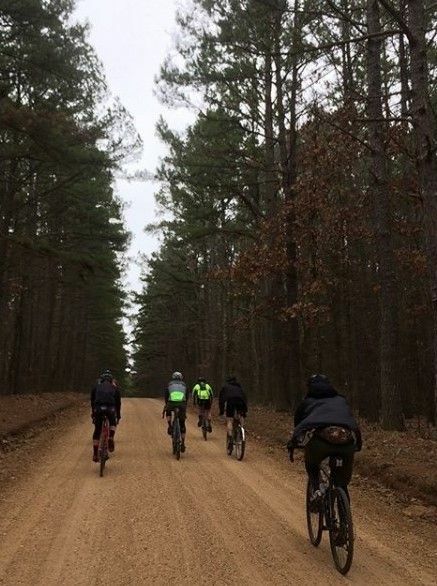 I asked Chris to write up a little something to recap his first gravel ride on his new Jamis Renegade Expat. He had just completed "Serious Injury By Gravel" a 50 mile crusher with over 3,200 feet of climbing. What a way to break in a new steed. Here's his story. 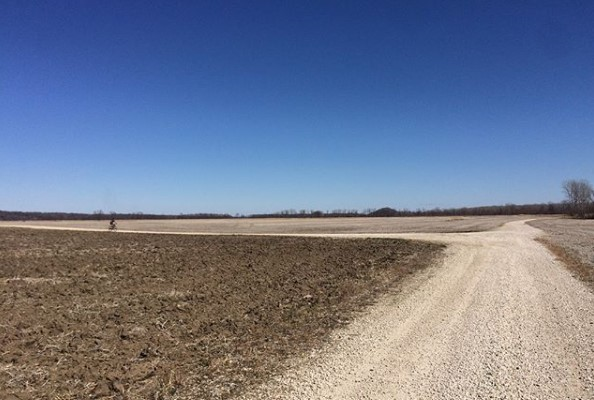 I had just completed my second ever gravel ride on March 3rd, the Callaway 50 "Lite" event of 37 miles through the windy and empty corn fields and steep hills of northeastern Jefferson City. It would be the last gravel ride on my 2013 Specialized Crosstrail which I have since converted into a rigid daily commuter. I was so depleted from basically being an upright parachute through straight-line winds that I ate an entire 14" Arris' pizza afterward and slept all the way back to St. Louis. But I was also hooked on the challenges and scenery Missouri back roads provide. That meant relegating my Frankenstein Friend to riding to work and the grocery store and finding a new whip more geared towards "shreddin' the grav grav," as the kids say. That's what brought me to Spoked, where Matt was eager to help and became immediately invested in my bike search. I left the shop with the 2018 Jamis Renegade Expat as a top contender and it didn't take long to pull the trigger. It's a whole lot of bike for the money, featuring Shimano Tiagra components and a steel frame with a carbon composite fork. My only reservation was the baby blue paint job the stock image seemed to suggest but turned out to be a much richer blue in person with sweet topographical graphics (topographics?). Thanks to Matt's excellent customer service and to my slight dismay, the Expat arrived in time for a post-St. Patrick's Day Serious Injury by Gravel, Death by Gravel's more casual, sloppy joe oriented route in Steelville, MO. The two nights before I thoroughly enjoyed using the Expat to hop around from Rolla watering hole to Rolla watering hole (and of course to Donut King, the Rolla donut hole). There are rear rack mounts should you find yourself in a situation where you buy way too many donuts and can't carry the box. On Sunday, the Expat proved to be a worthy companion through the entire 51.2 miles and 3291 feet of climbing with all stock components. The gearing was just enough for the steep climbs and allowed me to send-it righteously in the downhill sections. 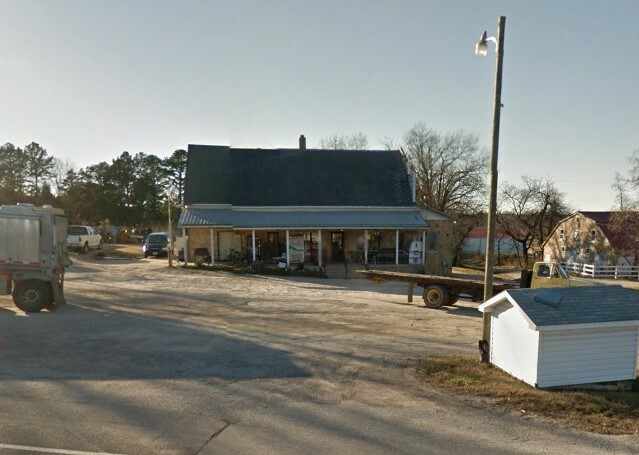 At mile 34, I rode into Cherryville in desperate need of $1 sloppy joes from the general store. Of course, I saw Matt there, but I'm not sure how many sloppy joes he ate. The saddle was surprisingly comfortable for the entire 5-hour ride, and I do not plan on swapping it out anytime soon. The Clement XPlor's were great around town and in loose gravel. I'm looking forward to making use of the 5 separate bottle cage mounts to put out a small fire someday, or just stash a peanut butter jar full of hotdogs under my cranks and on both blades of the fork. 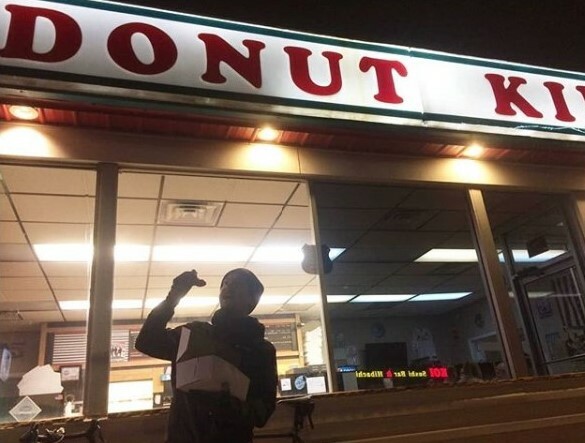 Basically what I'm trying to say is that you can ride the Expat to your favorite donut/sloppy joe/hotdog establishment no matter the location.